The weather-proof surface-mounted SOLAS LED luminaires with firmly closing PMMA diffuser are ideal for damp rooms, canopied outdoor areas, swimming pools, in moisture rooms such as canteens or sanitary areas, two things are essential: The new system must be economical and reliable. Above all, energy-efficient LED solutions that save costs and guarantee safe operation with a robust construction are particularly suitable for this. 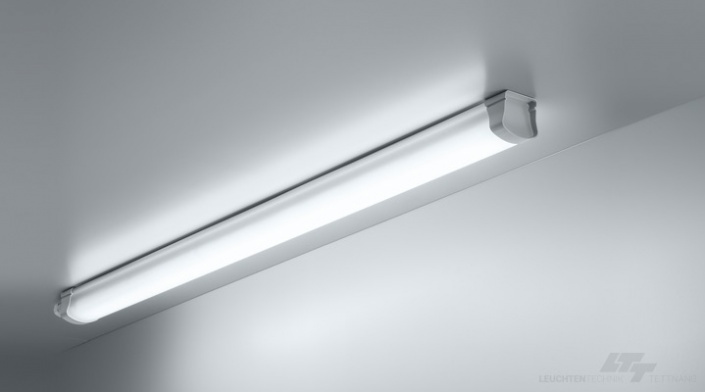 With the SOLAS LED, we now offer a proven damp-proof luminaire in a particularly efficient LED version, which covers a wide range of applications thanks to its customization options. Its durability makes it predestined for use in harsh environments. And the conversion of an old system to LED is implemented quickly and easily thanks to the simple installation. ELEGRA is our modern profil luminaire with an exellent transmittance and an attractive design. Luminaire has IP66 and an high impact restistance from IK08, so it is the ideal solution for a lot of applications.